When most people picture how they will buy a Dallas – Fort Worth house, they imagine visiting properties with their real estate agent, zeroing in on a suitable home in a neighborhood they like; making an offer; purchasing the home. But there are also less straightforward ways to go about buying a Dallas – Fort Worth house. 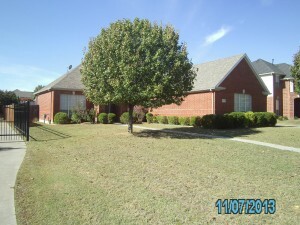 One way people purchase houses today is at a Dallas – Fort Worth auction. Homes usually go on auction because they have been foreclosed upon or have unpaid tax liens; but there are any number of possible reasons. For the buyer, a real estate auction presents an opportunity — but also hurdles to clear. Too, auctions in Dallas – Fort Worth are usually geared toward cash buyers. In many cases, companies require you to register before you may join the bidding. As with car auctions, it’s almost always necessary to come prepared with cash (in the form of certified checks). Most auctions require the entire sum to be paid immediately, while others specify a set portion or amount. In short, Dallas – Fort Worth real estate auction buyers need to have done their homework beforehand. Buying a home through a Dallas – Fort Worth auction can be a great way to nab a home at a bargain basement price, but being aware of the complicating factors is a must. There are many ways to find the perfect home – and I’m here to help guide my clients through the choices that will work best for them.